The colors are beautiful, as are the clamshells. There is not a lot of sauce, but the flavor of the wine is present. 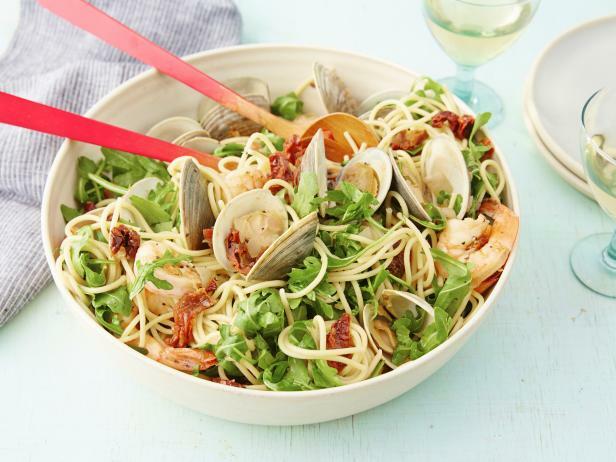 Spaghetti tossed with clams and shrimp simmered with garlic, onion and sun dried tomato infusing amazing flavor in this lovely Spaghetti with Pinot Grigio and Seafood Italian dish! It is quick and easy and you can have this dinner on your table in less than 30 minutes!